Since April, 2000, Show Daily magazine has continuously published two editions a year for the area’s biannual Round Top – Warrenton antiques and collectibles extravaganza. Back in 1992, its founders and publishers, Roberto Alvarado and Susanna Kirchberg, while traveling from Key West, Florida to Guadalajara, Mexico, happened upon this extraordinary event. It was purely a coincidence, considering both had more-than dabbled in the antiques business. 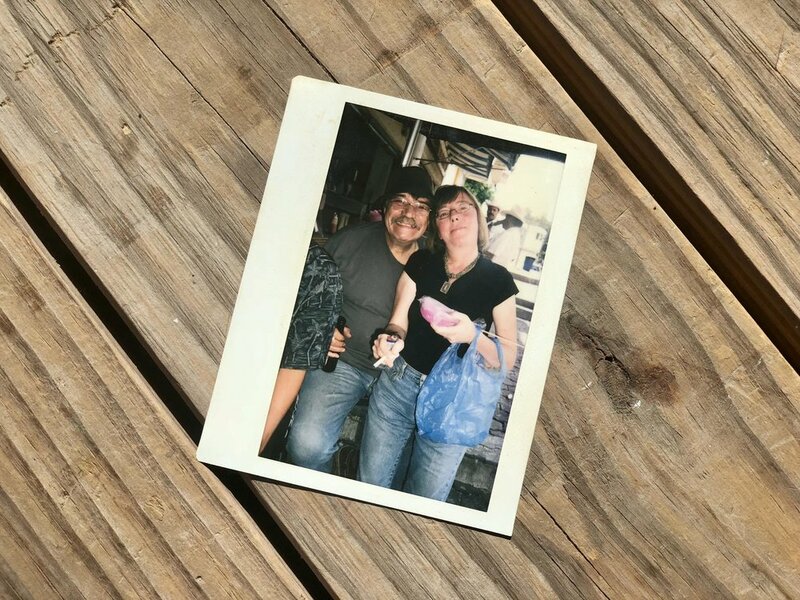 Much of Alvarado’s experience stemmed from working the famous La Lagunilla antiques market back in his native Mexico, when just out of the U.S. Army. He also acquired an in-depth appreciation of Mexican folk and fine art while a student of the University of the Americas. Vermonter Kirchberg, whose family was involved in antiques, possessed knowledge of early American arts and colonial furniture. The pair also owned and operated a small multi-dealer antiques mall in Florida and traveled the show circuit extensively. After their pit stop during that particular show, and after settling full time in Mexico, they decided to set up their own booth during the Round Top – Warrenton shows, renting space and becoming dealers and popular fixtures at the biannual event. In those days, antiques week was about a tenth of its current size and limited to just several days. Today, this pasture phenomenon continues to host new venues every season, spreading to surrounding towns extending up and down highways 237 and 159 through Fayette County, and lasts upwards to three weeks. Roberto and Susanna both envisioned and experienced the growth of what it has become - if not the biggest, perhaps the nation’s most important show of its kind. Thus in 1999, Show Daily’s seed was planted. Already publishers of a Mexican based, bilingual antiques magazine, El AntiQuario, then distributed on both sides of the border from their home base in Guadalajara, Alvarado and Kirchberg laid out a modest format of what would become the iconic and highly respected Show Daily. The linchpin would become the centerfold map, giving readers a sense of the location of various fields and venues. Like El AntiQuario, short tidbits about the antiques trade, along with profiles of various vendors, would be included. The first issue was a mere 12-page tabloid, black and white. The run was just 1000 copies. The initial edition was developed over a thousand miles away from Warrenton, prior wide spread internet use, so there was no chance to sell advertising. Of course, relations with some dealers had been established so the team inserted a few on-the-house ads to give perspective and future customers an idea of what their ads might look like in forthcoming editions. The upstart was greeted with enthusiasm and many voiced what a help the tabloid was, aiding shoppers and dealers alike find their way around the expanding area. That enthusiasm, plus a few dealers deciding to come aboard as advertisers, bolstered Alvarado and Kirchberg’s confidence that they might be onto something. During the initial years there were obstacles to overcome. Publishing and printing a few thousand copies back in Mexico, the owners could ka-plunk the edition in the trunk of a car or the back of a pickup and motor north of the border. But as 1000 copies burgeoned to 5,000 and then 10,000, and went from 12 pages to 24 and then 36 and then 48, weight and transport became more of an issue. Trucking that sort of a load that far became too expensive. Add to that the catastrophic 911 attacks and tightening of the border, and with the release of the magazine being time sensitive, the printed edition needed to be produced north of the border. The publishers could no longer take chances of it being held up at customs. Today Show Daily is printed in San Antonio, Texas. Fast forward to the present. Show Daily has become the bellwether publication for the entire show, relied upon by both dealers and thousands of shoppers. Local Emergency Medical Service (EMS) personnel and shipping companies even use it to help them navigate the event. Each and every edition is highly sought after by eager readers. Now printed in full, glossy, Vogue-like color and at well over 150 vibrant pages, the magazine is jam packed with vital information germane to the show and has garnered mention in Time Magazine and declared by Texas Monthly as the bible to 'Texas Antiques Weeks.